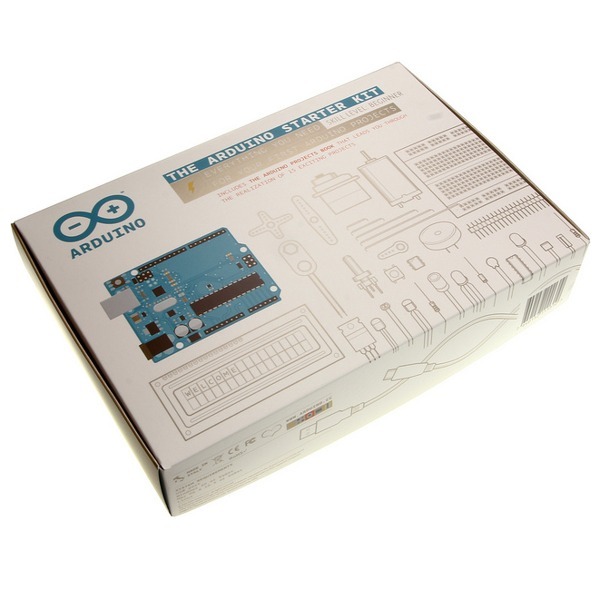 The official Arduino Starter Kit has everything you need to start learning about the fascinating world of embedded microcontrollers. This set features the same quality and excellence that people worldwide have come to expect for the talented Arduino team. 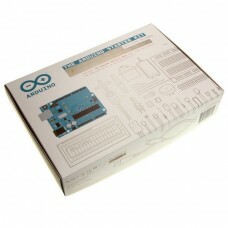 With the Arduino Starter Kit, the Arduino team will give you the tools and inspiration to build your very own projects. It includes a book with 15 fun projects to get you started and plenty of parts for to play around with and explore. Aspiring roboticists will appreciate the wide selection of components that are included in this set. You will learn how to use the common parts that are used to build robots such as sensors, motors and servos. But this isn't just a collection of a bunch of parts - it's a learning adventure! GET TO KNOW YOUR TOOLS - Provides a valuable introduction to the concepts you'll need to build the embedded projects in this kit and your own future inventions. SPACESHIP INTERFACE - Design a control panel for your own star ship! LOVE-O-METER - Measure how much love power you and your friends have. COLOR MIXING LAMP - Learn to makes a rainbow of colors with an RGB LED lamp that uses light as an input. MOOD CUE - It's like a 60's mood ring for the 21st Century! LIGHT THEREMIN - Waving your hands the play this musical instrument. KEYBOARD INSTRUMENT - Build your own electronic musical keyboard instrument and make some noise! DIGITAL HOURGLASS - A glowing hourglass to make sure you don't spend too much time working on boring stuff. MOTORIZED PINWHEEL - A colorful wheel to get your head spinning and hypnotize your friends. ZOETROPE - Create a fascinating mechanical animation that you can play forward and backward. CRYSTAL BALL - Build a magical crystal ball that can answer your toughest questions about the meaning of life's little LEDs. KNOCK LOCK - Open the door by tapping out a secret code. TOUCHY-FEEL LAMP - A magical lamp that responds to your touch. TWEAK THE ARDUINO LOGO - Learn to control your personal computer using an Arduino. If you'd like to learn about microcontrollers, this kit has everything you need to get started. It’s real hands on technology. And it's a lot of fun!